We are moving to 3404 North Figueroa Street. Help! Hey everybody, we’re moving our shop this week from its current location to a storefront right next to Antigua Cultural Coffee House in Cypress Park – just 3 blocks south west of our current location. Any chance you can lend a hand on Tuesday or Wednesday of this week? Our new address is 3404 N. Figueroa St., Los Angeles, CA 90065. We are going to be closed for business on Wednesday, May 23, 2012 to Friday, May 25, 2012, with a partially operational shop open on Saturday and Sunday of this week. This is big news, but not the reason I am writing this post. We need some help! 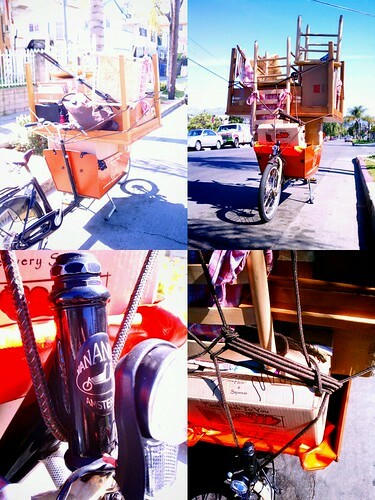 We are going to move everything down the street using our hands, bikes, pedicab, and a pick up truck. “We” in this case equals Josef, his 4 year old daughter, and Car. Any chance you can lend a hand on Tuesday or Wednesday of this week? If so, please contact Josef at ubrayj02@gmail.com – or better yet, show up at Antigua Coffee House on Tuesday or Wednesday after 10 a.m. and help us pack some stuff up and move it! Bike shop bike move? #YOLO, dawg.